For the first 6 months eating low-carb on the keto diet, I counted every calorie/macro to help me lose over 30 lbs*. But more important than weight loss was learning about how nutrition affects my body. That’s why I created a spreadsheet that tracks macros, vitamins & minerals plus other important health factors such as body weight, blood sugar, ketone level, heart rate & distanced walked. I want a complete picture of my wellness, and this custom and automated Food & Health Tracker Spreadsheet gives me exactly that – all the numbers at a glance. Get Food & Health Tracker Spreadsheet! 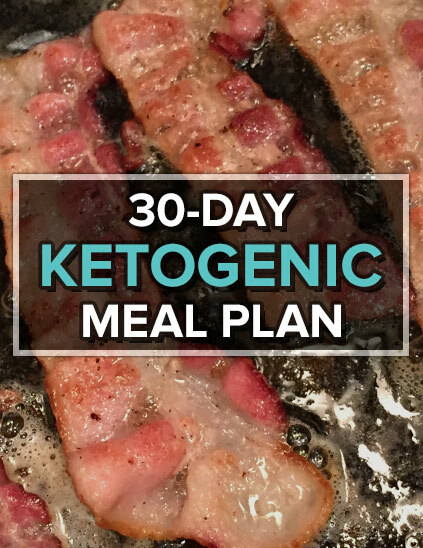 150+ Daily PDF’s of Everything I Ate for 6 Months on the Keto Diet! You Are Unique: How else can you learn how nutrition affects YOU? Tracking my numbers with a spreadsheet made me put the snack down in the store when I knew I’d have to log it later in the day (and feel bad about wrecking my progress). It also showed me the macronutrient profile that allowed me to achieve my maintenance weight and feel healthier overall. For me, it’s about 70% Fat / 20% Protein / 10% Carbohydrates. If you are on a similar mission to live your best life and get the most from each day, use the Food & Health Tracker Spreadsheet to ensure your success!